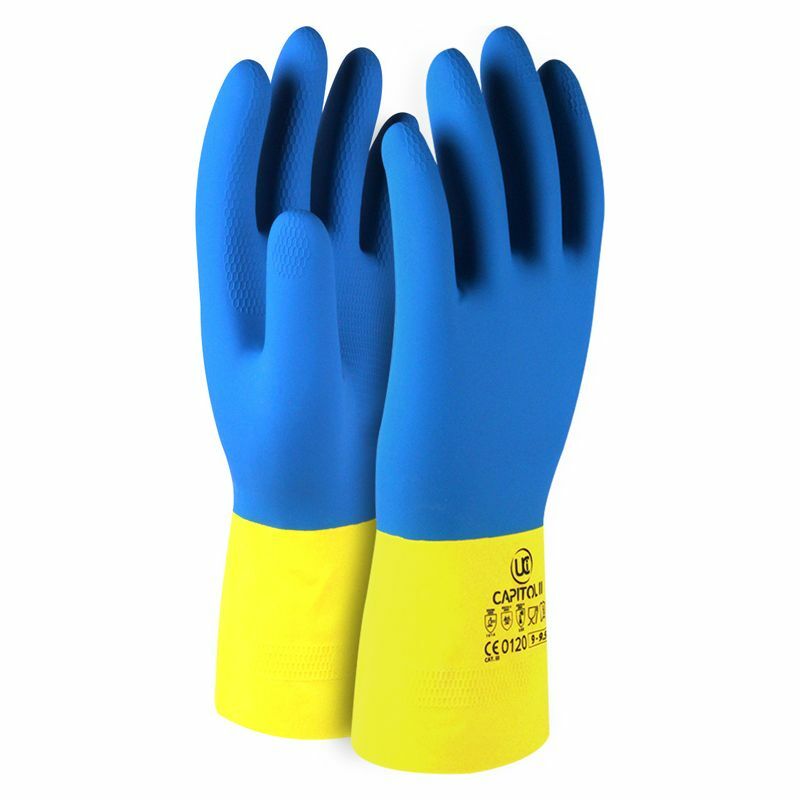 Whereas most rubber gloves are produced cheaply, resulting in poor durability and chemical resistance, the Capitol II Double-Dipped Rubber Gloves have been designed with durability in mind. The double dipped material works to provide outstanding resistance to chemicals, fats and oils, and offers a durable, long lasting glove. They are fitted with a cotton liner that ensures total comfort for extended use. The Capitol Double-Dipped Gloves are available in four sizes that should suit the hands of most users. Please measure the circumference of your hand around the knuckles (excluding the thumb) with your hand open and your fingers together, and the length of your hand from the tip of your middle finger to your wrist.